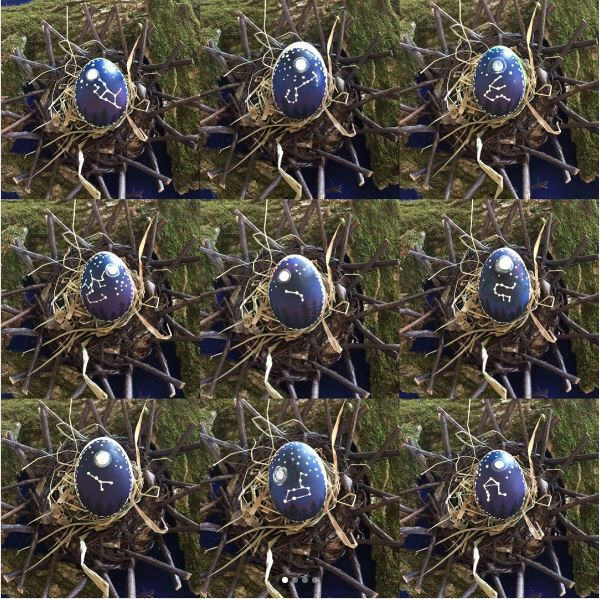 You get one egg for your purchase, the display nest is not included. 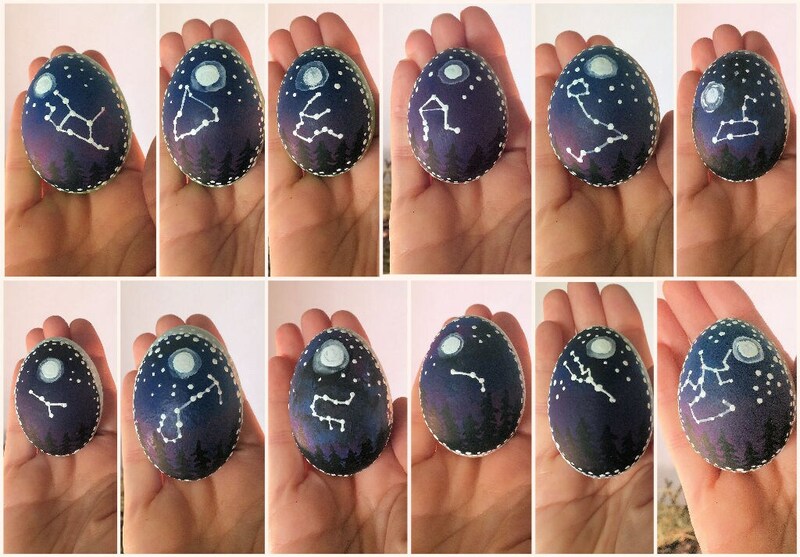 I have painted 1 of each Zodiac sign. 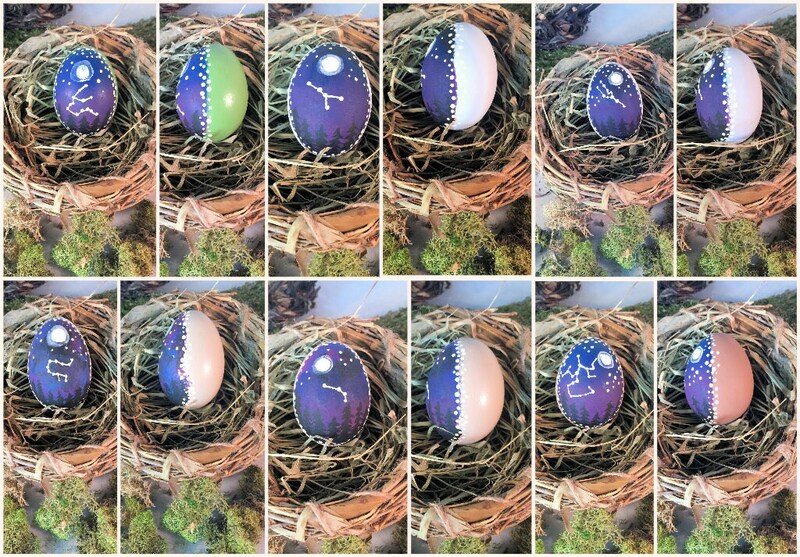 These are real handpainted blown chicken eggs. 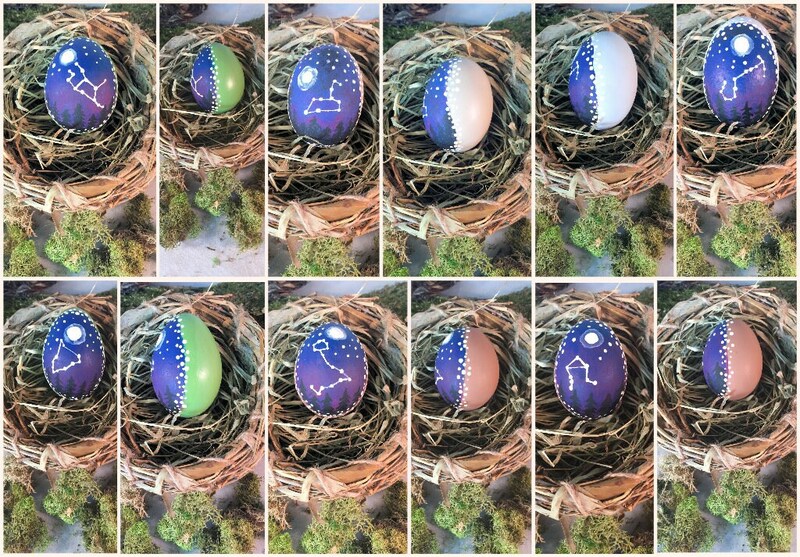 These egg feature a blue/purple sky with the moon and trees with each Zodiac sign featured.